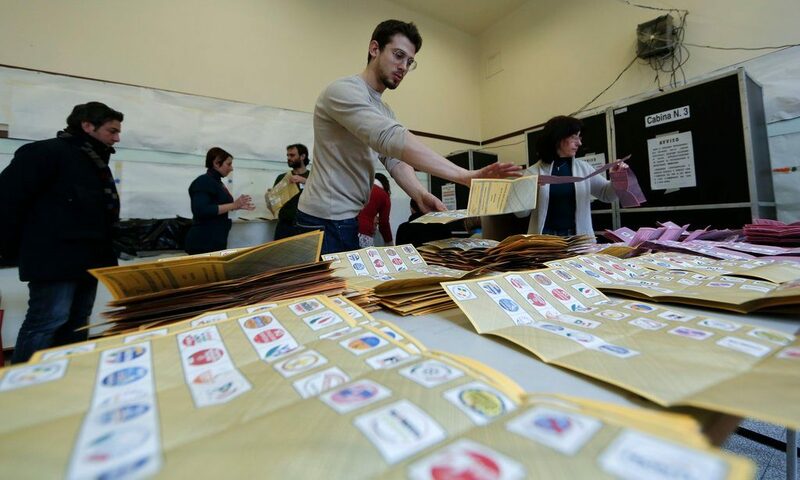 Italians will vote in the first round of local elections Sunday ahead of a likely early general election. Former PM Matteo Renzi’s centre-left Democratic Party (PD) and the populist, Eurosceptic Five Star Movement (M5S) will compete for mayoral and city council seats across the country. Runoffs are slated for June 25. Mr Renzi resigned last December following the landslide defeat of his proposed constitutional reforms in a referendum. With M5S emboldened by the referendum and past local breakthroughs, the ex-PM will hope Sunday’s results signal a comeback. The two biggest prizes are Genoa and Palermo. The PD handily won Genoa’s mayoralty in 2012, but now faces challenges from M5S and the centre-right. A big increase in the M5S vote share in Palermo could suggest populist gains among Sicilians, 72% of whom rejected Mr Renzi’s reforms in last year’s referendum. With Mr Renzi eager for redemption and M5S believing they have winning momentum, both want an election once a new voting system is agreed on. With polling neck-and-neck, Sunday’s contests will be scrutinised for hints of who has the edge. A strong centre-right showing could foreshadow another ex-PM’s comeback as kingmaker between the two: scandal-prone billionaire Silvio Berlusconi.